What are Some Spider Bite Symptoms? An ice pack can reduce swelling from a spider bite. 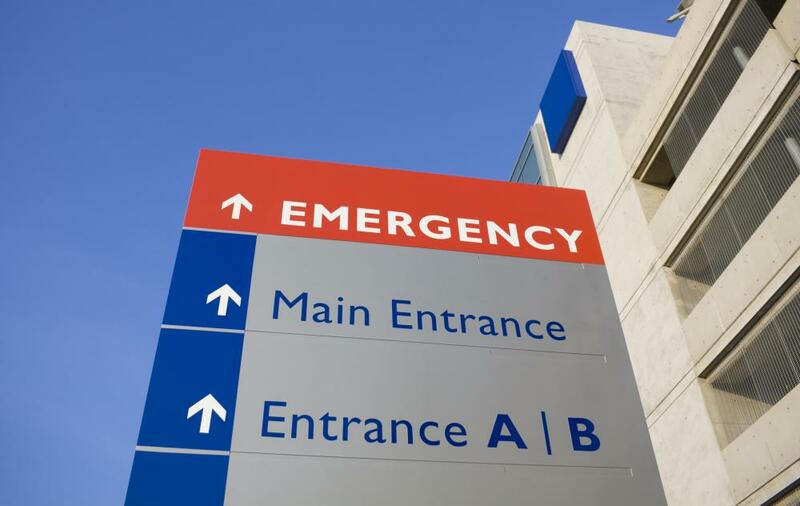 Facial or throat swelling after a spider bite may be anaphylaxis, and emergency medical care is required. Serious spider bite symptoms may require emergency medical care. 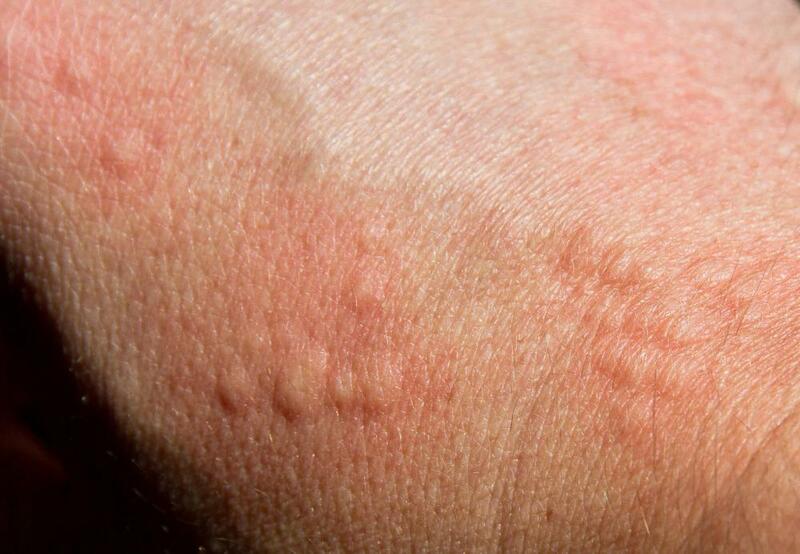 A person who is allergic to spider venom may develop hives from a bite. Even a non-poisonous spider bite can be deadly for someone with allergies. Most spider bite symptoms are no different than any other insect bite, which is good news for those who have been bitten. A victim of a spider bite can expect some redness and itching around the bite area itself, and possibly some localized swelling and pain. First aid treatment for a minor spider bite would be the same for a bee sting or an ant attack. 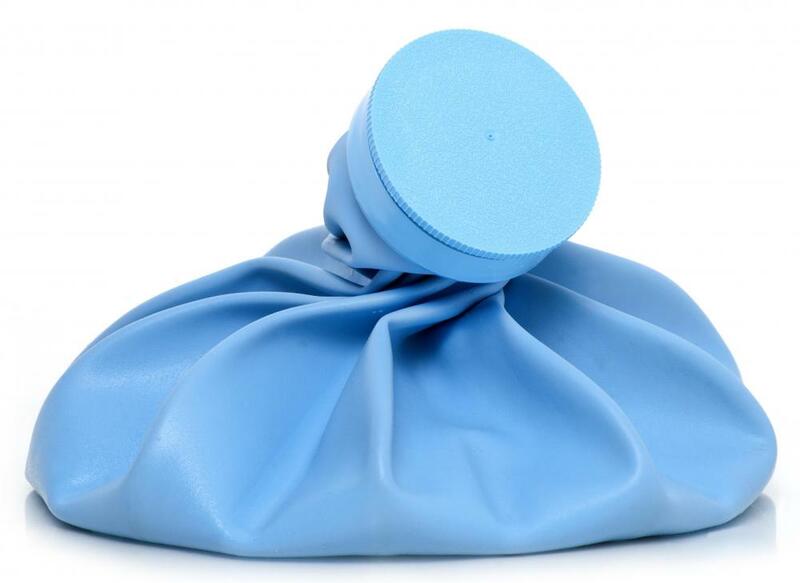 An ice pack should be applied to the area to reduce swelling, and oral pain relievers such as ibuprofen or acetaminophen will address the general pain and inflammation. It is not always possible to determine exactly what kind of insect caused a painful bite, so it is not unusual for people to assume it was the work of a venomous spider such as a brown recluse or black widow. In reality, an estimated 98% of all spider bites either do not penetrate a human's skin or inject any kind of venom. Spiders can decide if a bite will contain enough venom to kill a source of food or simply scare off a much larger interloper. Even most venomous spiders only issue "dry bites" on larger animals with no potential food value. Other spider bite symptoms can be triggered by the same reactions some people experience with bee stings, a condition known as anaphylaxis. If a person is allergic to a spider's venom, regardless of the volume, then he or she may have go into anaphylactic shock after a bite. 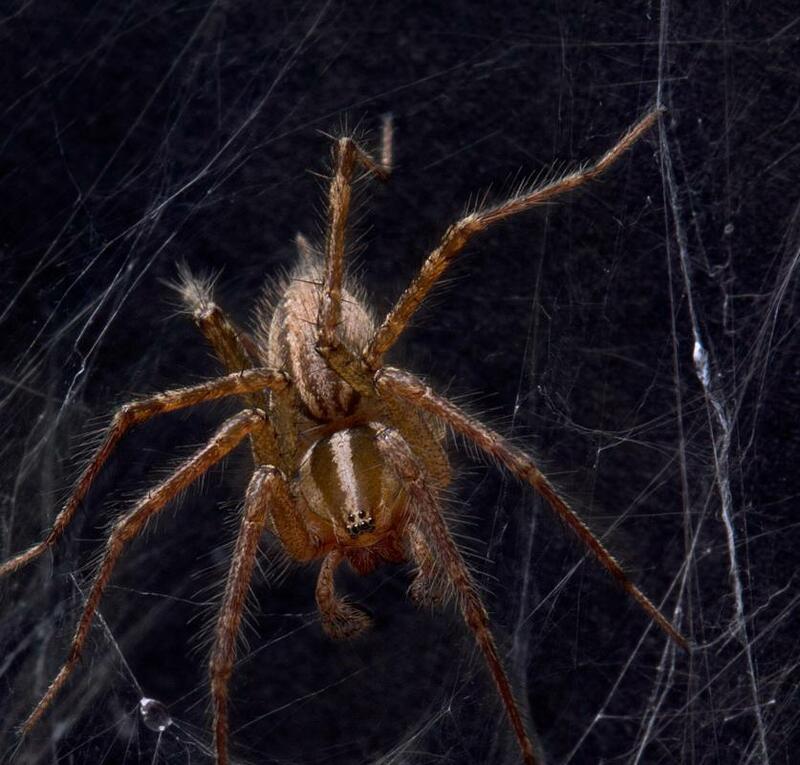 These spider bite symptoms would include dizziness, hives, chest pains and difficulty breathing. If these symptoms get progressively worse, the bite victim should be taken to the nearest hospital for advanced treatment. Only a few species of spiders have the ability to harm or even kill a human being. When these spiders inject their venom into a victim, the affected tissue will start to rot or necrotize. In the case of a brown recluse bite, a distinctive bulls eye pattern may appear, with a central reddish swelling surrounded by a lighter ring of infected tissue and a larger red ring. Although some deaths from spider bites have been reported, most victims respond to aggressive treatments which remove any necrotized skin and halt the progress of the spider's venom. If a spider bite is suspected and the victim appears to be going into shock or has involuntary muscle movements, an effort should be made to capture the spider or find its remains. Few hospitals have insect experts on staff, and identifying the offending species of spider can help medical professionals determine if a specific anti-venom would be required for treatment. What Is the Largest Spider? How Many Types of Spider Silk Are There? What Are the Best Tips for Spider Bite First Aid? How Do I Treat a Spider Bite with Pus? What Should I do About a Spider Bite with Swelling? @ PelesTears- As for identifying and treating spider bites in Australia, you should just head to the clinic to get checked out. Kill the spider and bring it with you if you can. Bites by harmful spiders are rare in Australia, but they are often bites of the very painful type. 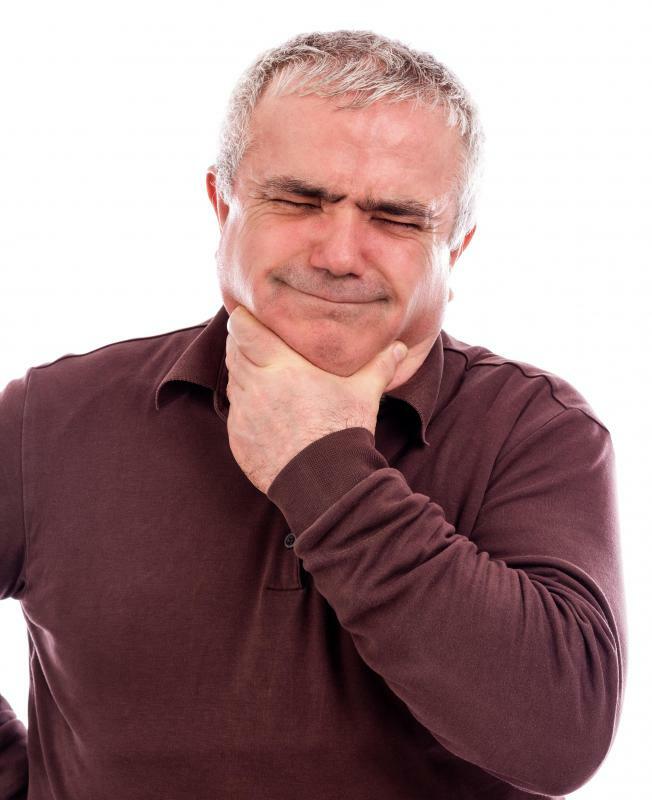 Doctors have enough experience with local bites, and they will keep the necessary antivenin on hand should you need it. @ PelesTears- You worry too much mate. I have been in Sydney for a couple years and the fear of spiders are not as bad as you think. You should steer clear of certain species like funnel webs, white tails, mouse spiders, and yellow sacks. Since you'll be on the western side of Australia, you don't have to worry about funnel webs, and white tails and yellow sacks rarely inflict serious bites. Even funnel webs only cause severe bites 25% of the time, and they haven't killed anyone in over 20 years. Relax my friend, and enjoy your tour of this beautiful place. You will need to worry more about snakes and the likes if you are out in the bush. Just don't do foolish things like blindly stuff your hand in a dark hole, or stick your foot in a boot without shaking it first and you will be fine. How do I identify a spider bite? I am going on a study abroad program to Western Australia and everyone keeps telling me about the dangerous spiders, snakes, and jellyfish that are everywhere. I hate spiders, but the trip is important to me. I am studying ecology in the outback, and I think I need to get over my fear of spiders. I would like to know how worried I should be about spiders from someone who isn't trying to play off my fears, or actually knows something about Australian spiders. I'm leaving in a couple months so if someone could help me calm my anxiety I would appreciate it.